Hello everyone! I just love the fun stickers from the March add-ons. I am so glad I bought them. They really help stretched this month’s kit. I felt this month’s kit was perfect for scrapbooking a photo from Edward’s birthday party since it included banners, flags and the word “happy” in the embellishments and add-ons. He was so happy his daddy could take a little big of time off from work to be at the party. His face is priceless in this photo. I just love it. Before I started putting this layout together, I already had an idea as to what I wanted to do. 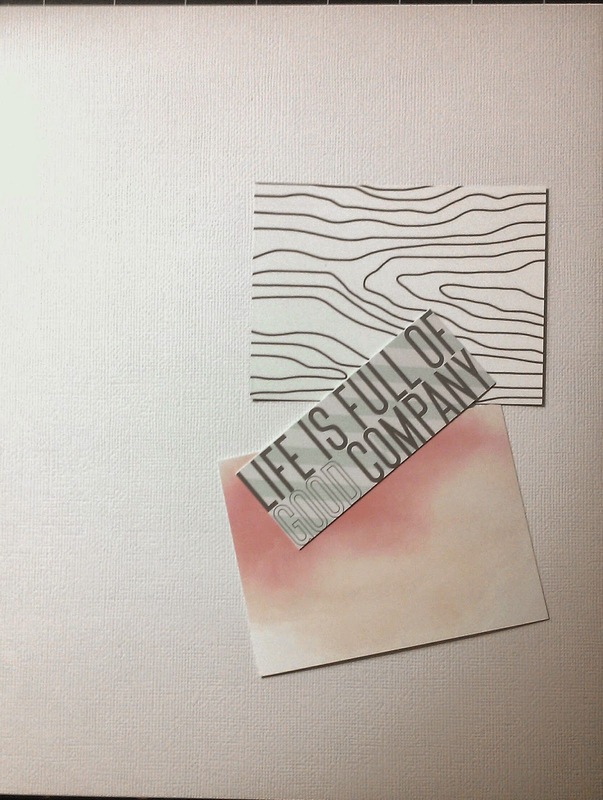 I wanted to use the washi tape strips at the bottom of the layout for a fun design. 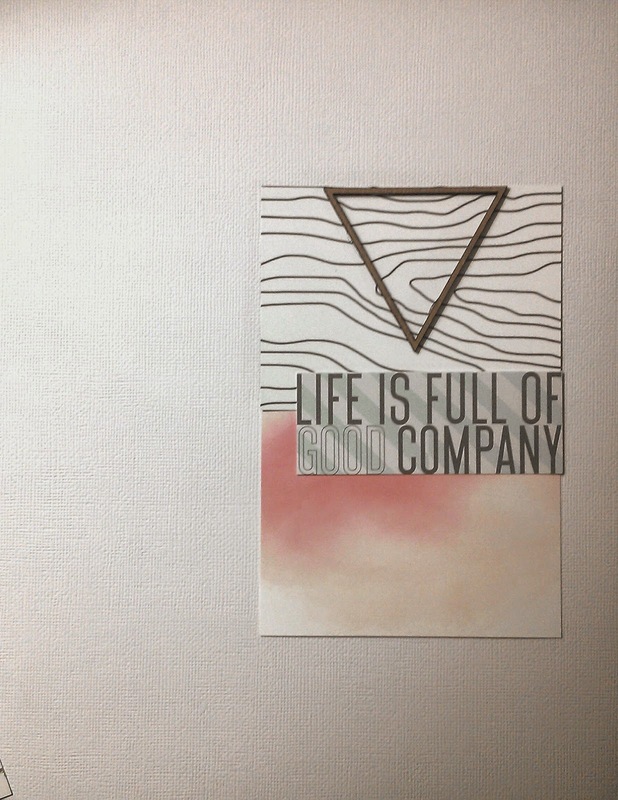 I used scraps of patterned paper to create a fun frame for the photo. Once the photo was adhered to the layout, I added the stickers. I used a fine-tip pen to hand-write birthday to the flag sticker. Initially, the sticker banner did not include the “congratulations”, I had cut the congratulations from a sticker to add to the banner. Since I ran out of washi strips, I added the “ADVENTURE” banner sticker at the end to fill in the space so there wouldn’t be a gap in space. I used foam squares to pop the stickers up from the layout a bit. 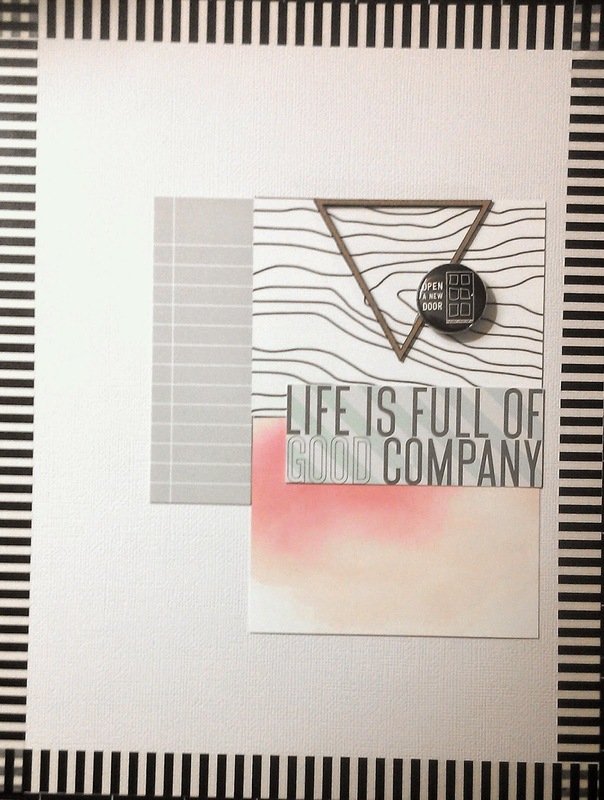 Categories: Geek Lab | Tags: American Crafts, clique kits, Nicole Martel, scrapbooking, Washi Tape | Permalink. Happy Friday ladies! Who’s ready for spring? I am so ready for winter to be over. It’s been so cold! Anyway, I have another quick and easy layout to share with you. And it gets even better. 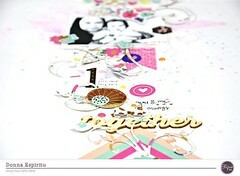 I’m going to share with you, step-by-step how to create this layout! I pretty much skipped the patterned papers with half of my projects this month because I loved the exclusive cards that came in the “J’Adore” Clique Kit too much, not to use them. What do you think? They really help with creating a layout in a snap, and I’m going to prove it to you.The first thing I did was grab the die cut cards that I wanted to use for my layout. Once I had them picked out, I moved them around the page until I was satisfied with the placement. Then, I adhered the cards as shown onto white cardstock. I remembered that I had a few chipboard triangles leftover from my “Tailor Made” kit so I used one on my layout! Since the edge of the layout looked a bit flat, I decided to create a fun border using my washi tape! 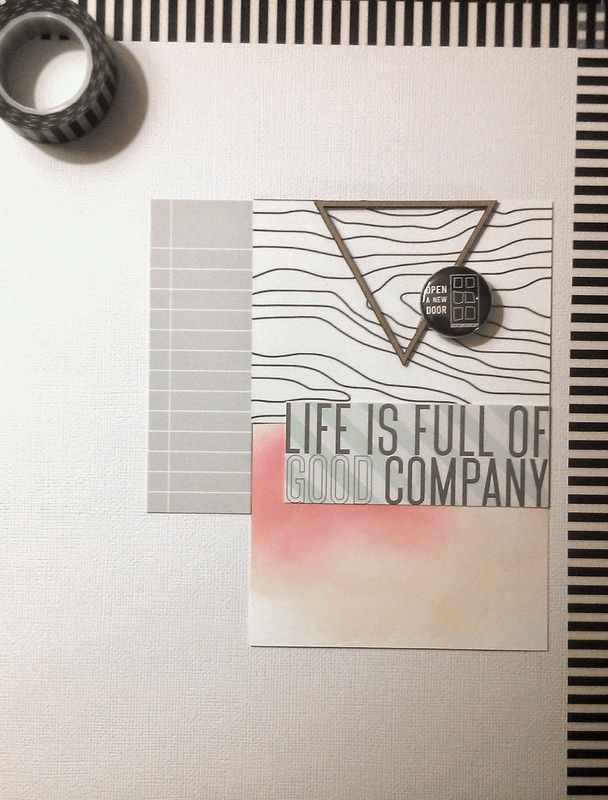 Just cover all four corners of the cardstock with the washi tape and you’ve got yourself a fun border. So easy. Then I used a foam square to adhere my badge. Next, I adhered my photo, acrylic heart, word strips to the layout. The foam heart came with the “Tailor Made” kit. I used scissors to cut a small triangle from a die cut card and adhered it to the bottom leftside of the photo using a foam square. And that’s it! Most of the time, the design of a layout takes the longest to create… once that’s done, the layout can be created in a snap! Categories: CK Kits, Locker Room | Tags: Clique Kits Journaling Cards, Cosmo Cricket, flair, Nicole Martel, Washi Tape, We R Memory Keepers | Permalink.